Rhino poaching « What Happened to the Portcullis? 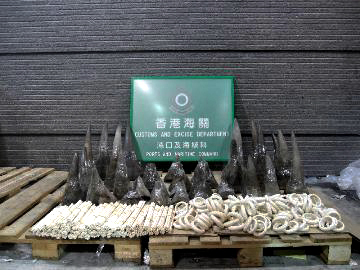 On 14 November 2011 Hong Kong Customs seized 33 rhino horns (weighing 86.54 kg), 758 ivory chopsticks (13.22 kg) and 127 ivory bracelets (9.2 kg) with a value of about 17.4 million Hong Kong dollars (over 1.6 million euro). Acting on risk assessment, a container on board a vessel arriving from Cape Town in South Africa and declared as containing “scrap plastic” was selected for inspection by Customs officers. Under x-ray examination, officers discovered the contraband concealed inside a package of plastic scrap placed at the rear end of the container. This is one of the biggest seizures of rhino horns reported by Customs. Over the past two years, rhino horns have been seized by Customs in Belgium, China, Ireland, Kenya, Portugal, the Netherlands, South Africa and the United Kingdom. Early November statistics from the South Africa National Parks authority show that 341 rhinos have been lost to poaching so far in 2011, compared to a record total of 333 last year. Most rhino horns are smuggled to Asia in particular China and Vietnam, where the unfounded rumour persists that rhino horn can cure cancer! This record seizure follows another made by Hong Kong Customs on 29 August 2011, when 794 pieces of African ivory tusks (1,898 kg) found inside a container were seized. 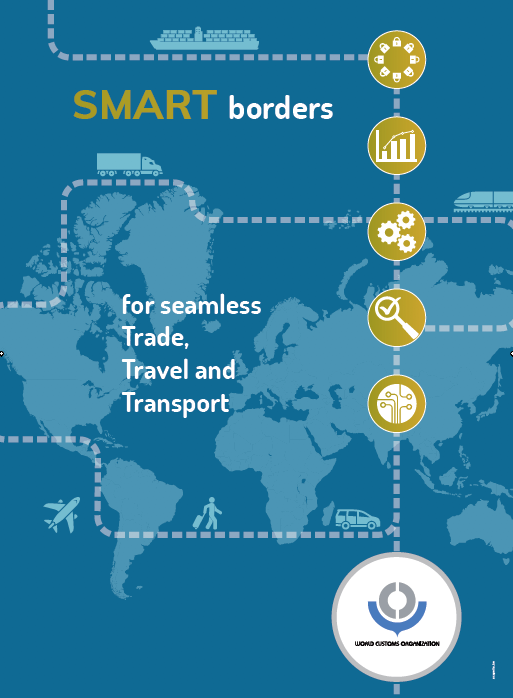 Source: WCO. A single bust like this invokes a number of things. Firstly an outrage amongst the general populace of the cruelty and greed concerned with the crime, and secondly, elation amongst law enforcement officers in making the bust. A bust such as this reinforces confidence in the initial commitment to procure inspection technology.